If we all stopped to think about the devastation that plastic bags are causing our environment, perhaps more of us would choose reusable paper or cloth bags next time we went to the shops. Australian consumers currently use 3.92 billion plastic bags each year. That's about 170 plastic bags per person, per year! 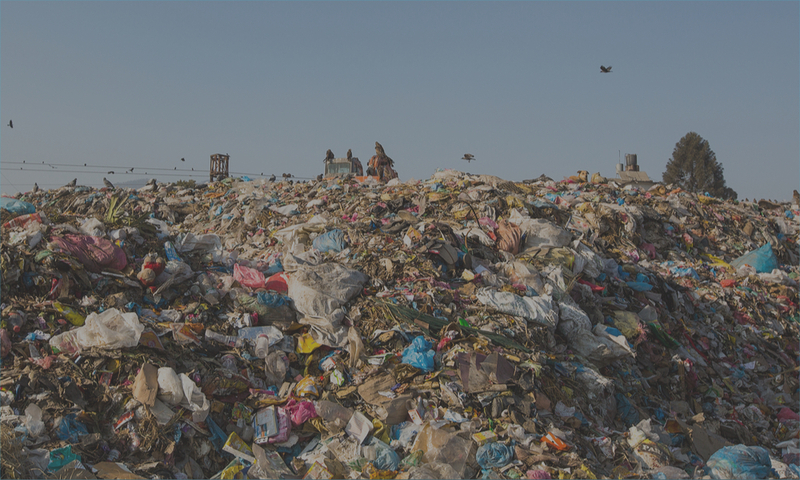 Plastic lasts forever – every bit of plastic ever made is still out there somewhere, and it can take thousands of years to degrade down into smaller particles. Some plastic is made from phthalates, so when it does degrade it can cause cancers in animals. Sure, most plastics (including plastic bags) can be recycled, but there's so much plastic to go around, and a surprisingly small quantity is actually recycled. Plastic bags are light and can travel long distances on the wind, often settling in our waterways once they're waterlogged. Most of the plastic produced ends up in landfill, but 8 million metric tonnes of littered plastics still end up in the ocean each year. Littered plastic bags look a lot like jellyfish in the water, so animals mistake them for food and eat them – harming or killing them. A study done in Sydney Harbour last year found that many edible fish species contained nanoparticles of plastics in their flesh, meaning they could cause serious harm to an animal that might eat them – including humans. So how did we get to this point where we're so reliant on plastic, despite the harm it causes? The concept of plastic bags was born in 1965, by Swedish company Celloplast. By the late 70s the bags had been introduced to North America, and in the early 80s the bags had started to become a popular worldwide scourge. Although some people found the shift from paper to plastic bags difficult, the latter had benefits that paper bags did not; such as being stronger and completely waterproof. For big companies and businesses, plastic bags were appealing due to their low price. Environmental advocates were already raising concerns about plastic bags by the late 80s. The prolific plastic bags were now one of the most obvious items of litter on streets and beaches, threatening marine life when ingested by animals, and ruining habitats. The reality of those concerns was sharpened in 1997, when the Great Pacific Garbage Patch – which is basically a giant floating collection of tiny pieces of plastic and litter debris – was discovered in the North Pacific Ocean. This shocking discovery made many governments aware of the damage that plastic was causing to the ecosystem, and since then, many plastic-bag bans have been introduced to several countries and localities (see our list below) in an attempt to prevent the problem from becoming even worse. It is important to remember that while plastic bags are certainly of concern, our plastic addiction doesn't stop there. Plastic is everywhere. Bottles, tags, computers, keyboards, pens, chairs, and of course, bags... the list goes on. It's a combination of all kinds of plastic pollution that's contributing to our plastic problems. 8.7 plastic bags have enough petroleum energy to drive a car for 1 kilometre. Australians use over 10 million new plastic bags each year. It costs the Australian government more than $4 million a year to clean up plastic bag litter. Each year, enough plastic is thrown away to circle the Earth four times. Plastic litter dumped in Western Australia can travel as far away as the east coast of South Africa. It takes around 500 to 1,000 years for plastic to fully degrade. An estimated 500 billion to 1 trillion plastic bags are consumed worldwide each year. That's about 1 million plastic bags every minute! Currently, only 3% of plastic bags used in Australia are recycled. 44% of all seabird species, 22% of cetaceans, all sea turtle species, and some fish species have been found with plastic in or around their bodies. A recent incident of animals being affected by litter went viral on social media networks when a group of scientists studying Olive Ridley sea turtles in Costa Rica made a video of them removing a 10-centimetre plastic straw from a turtle's nostril on site. Warning – this content might be very disturbing to some people. Plastic is ubiquitous – it can affect both shallow waters or float great distances such as to the Great Pacific Garbage Patch. Oceanographers and ecologists have also discovered that about 70% of marine debris actually sinks to the bottom of the ocean. This means that the seafloor beneath the patch is likely to also be filled with rubbish, we we haven't been able to test it so far. England – In 2007 Modbury became the first town to voluntary ban plastic bags, with 7 more towns following the initiative. In September 2015, England banned all free plastic carrier bags. Wales – In 2011, Wales introduced a 5 pence charge on single-use plastic bags in all stores. Scotland – Last year, Scotland implemented a 5 pence surcharge for plastic bags. The result was 650 million less bags used, resulting in a 90% drop in UK plastic bag use. Northern Ireland – In 2013, plastic bags incurred a 5 pence surcharge, leading to a 71% drop in their usage in the first year. Ireland– Ireland started a 15 Euro-cent bag levy in March 2002, leading to a decrease of about 90% use in plastic bags. In 2011, the price per bag was lifted to 70 Euro-cents. Denmark – Denmark started banning plastic bag producers by plastic weight back in 1993, and the producers pushed this cost back onto the consumers. Currently, the tax is about 51-90 Aussie cents per bag, and has led to a 60% reduction in their use. Germany – Most supermarkets voluntarily charge about 5-10 Euro-cents per bag, and most bags are then reused responsibly by consumers. In 2012 Germany used 6 billion bags a year, down 1 billion from the year 2000. France – Due to some stellar efforts, bag consumption in France dropped from 10.5 billion in 2012 to 1.5 billion in 2009. Non-biodegradable bags are now banned in Paris, with a tax of 10 euros per kilogram on plastic bags. Italy – Italy has had a ban on single-use plastic bags since 2011. USA – Hawaii has virtually banned plastic bags altogether, with California following in its footsteps shortly after. Eleven Texan cities also have bans or extra charges placed, and in Washington D.C there is a 5 cent charge. Some national retailers, such as Whole Foods (who Australian Ethical have invested in), have abandoned the use of plastic bags, also crediting shoppers who bring in their own reusable bags. China – In 2008, laws began regulating the thickness of certain plastic bags offered for a fee in shops, leading to a reduction of 40 billion bags in just a year. Hong Kong – Major supermarkets and stores in Hong Kong started charging about 8 cents for plastic bags in 2009, and by 2013 this had led to a reduction of 75%. Bangladesh – Perhaps one of the most notorious bans because it affected people so directly, plastic bags were prohibited in the country in 2002, when it was discovered that they were responsible for the massive floods that affected Bangladesh in 1988 and 1998, by blocking city drains. Rwanda – One of the cleanest countries in the world, Rwanda has had a ban on non-biodegradable plastic bags since 2008. There is, however, a black market for plastic bags. So what's happening in Australia? Australia's first local plastic bag ban happened in Tasmania in 2003, with the idea to help protect whales that migrate off the coast of the island state. Since 2013, extremely thin bags have been completely banned in the state of Tasmania. South Australia banned plastic bags in 2009, followed by the Northern Territory and the ACT in 2013. Some suburbs, such as Sydney's Oyster Bay and Huskisson on the NSW south coast, have also placed voluntary bans on bags to help reduce plastic waste. In 2015, a petition signed by 12,344 people to ban plastic bags statewide was organised by the Boomerang Alliance and Plastic Bag Free NSW. In Queensland, there have been other petitions (here and here) made to ban plastic bags in that state. Since being founded in 2009, Take 3 have been running an ongoing campaign to Ban the Bag, a campaign that's supported by a number of environmental and social groups in Australia, including Responsible Runners, the Total Environment Centre, and Planet Ark. A report by the United Nations Environment Program on marine debris in 2009suggested that Australia lacks data and should invest more in the marine debris issue, mentioning the difficulty of patrolling Australia's large and remote coastline to ensure enforcement of laws against littering. In March 2015, the Environment Minister Greg Hunt said he could foresee a ban on plastic bags, Australia-wide. The good news is that there are always things you can do to help and try to reverse this environmental issue. Recycle! You can actually recycle all your soft plastics by dropping them off at most supermarkets thanks to the Redcycle program. Use reusable shopping bags and a reusable water bottle instead of buying bottled water. Stop using straws for your drinks! It's so simple and has such a high impact! Refuse to use plastic bags for your lunch – it's a great excuse to get a cute caddy for your lunch instead! Always carry a little textile bag around with you – one that you can easily fold and doesn't take much space, for those spontaneous shopping trips (we agree it's best to avoid excess consumerism, but there might still be the occasional urge to splurge – and it just saves you having to think about green bags every shop). Bring your own mug, like the Keep Cup or just a regular mug, to the coffee shop. Some cafes even offer a discount if you do this! Support plastic bag bans in your state or territory by signing any petitions – or if there isn't one, start one! Volunteer for community clean-ups such as Responsible Runners, Take 3, Clean Up Australia Day, and Keep Australia Beautiful. You're not alone. Check out and follow a range of useful blogs for tips, tricks and info on how to successfully live plastic free. Some places to start are: The Rogue Ginger, A Plastic-Free Year, Plastic-Free July, My Plastic-Free Life, and Trash is for Tossers. Check out Australian Ethical's 22 tips to stop using plastic. This article originally featured on Australian Ethical.